Several of the big tech blogs just posted reviews of the new touchscreen Nook e-reader from Barnes & Noble, and the notices are strong, a few bugs and miscellaneous nitpicks aside. Heads up, Amazon. The reader is a little buggier than we’d hoped for– outside of reading, the touch technology leaves a bit to be desired, and the freezing puts the overall stability a bit in question. Beyond that, however, the Nook serves its main function quite well. This is a great device for just plain reading, and if sales are any indication, there are still plenty of people who want to do just that. 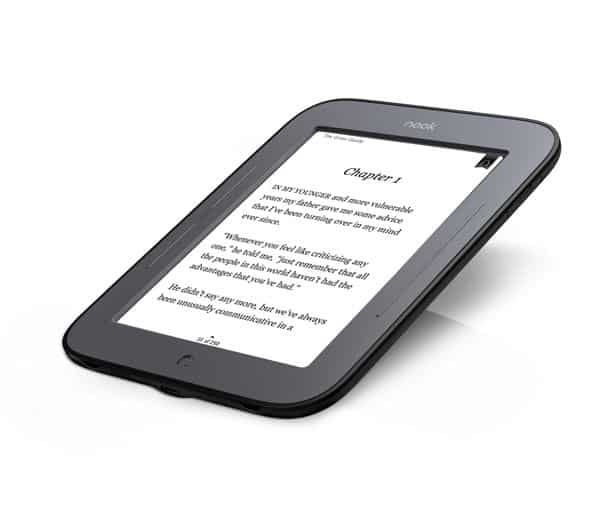 If you’re looking for a no-nonsense e-reader that’s easy to use, connects to an online book store, handles your side-loaded content (like PDFs), let you interact with other friends who use the Nook store, and rarely has to be charged up, you will love the Simple Touch Nook. In terms of form and design and guts, the hardware is superior to the Kindle. This is a stripped, bare basics version of the Nook that would be ideal for students and anyone else on a budget. The new Nook is without question the best standalone Wi-Fi ereader on the market. Note that I added a few weasel words there, and if you’re looking for 3G then the Kindle 3G is still a winner, but as a reading device the Nook is nonpareil. The Wi-Fi-only Nook is shipping now, by the way, for $139.